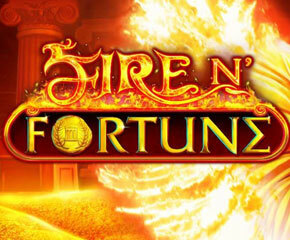 Fire N’ Fortune is a magical online slot game that focuses on the ancient Greek times. 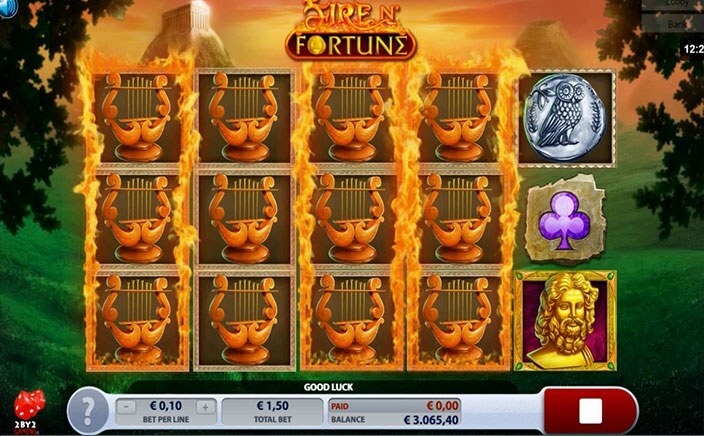 Even though in reality you normally do not see fire leading to the fortune in most cases, the game follows a fiery path towards the player’s fortune. With 5 reels and 20 fixed paylines, there are various symbols of Greek statuettes and a phoenix. Symbols in this slot game float ahead of a backdrop of grassland with temples positioned above high mountaintops. All the symbols have a resemblance to the Greek era be it the gold statues or the harp. The most important symbols are the high-value ones. There are 7 high-value symbols and they are the gold statuettes, the silver coin, the golden harp and what appears to be a silver carving. The Phoenix is the wild symbol of the game which gives the player winning combinations by replacing the other symbols. Bonus symbols from Fire N’ Fortune cannot be replaced by the Phoenix and they are depicted by a vase overflowing with riches that include gold coins and necklaces. Each spin can be betted on from anywhere between 15p to £15. Fire N’ Fortune has quite a few features lined up. If the player lands on 3, 4 or 5 of the bonus symbols, they will receive 5, 7 or 10 free spins respectively. If luck proves to be on your side, you can land even more spins by landing on different paylines. After 15 spins, the player has the options to decide between various types. Mega spins are the best wherein you receive only one-fifth of the total spins you won but you will receive them as Mega spins. This means that all wins will have 5x multiplier applicable. Fire N’ Fortune also has Super spins which is when the player decides to take one-third of the awarded spins with a 3x multiplier for all winnings. Regular spins are when the player takes the allotted number with no multiplier. In the case of Mega spins or Super spins, if your number of spins is not divisible by 3 or 5, you will receive a random prize. Fire N’ Fortune has a design that is neat and not extremely bold. It has good symbol designs and it can be a fun slot game that can offer up a fair bit of action. The slots game also comes with an RTP of 96.04%.